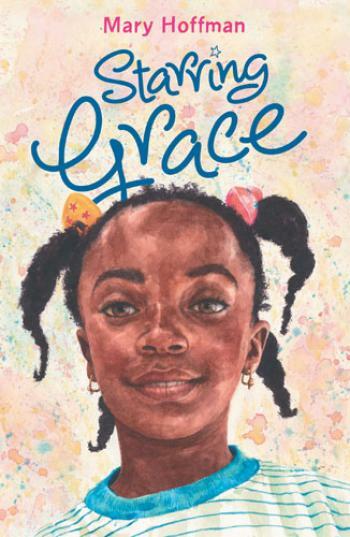 In this high-spirited storybook, Grace, the heroine of Mary Hoffman’s classic picture book, Amazing Grace, joins her friends in a series of dramatic holiday adventures, using her imagination to become just about anything she wants. Grace has made the transition from picture book to fiction book format. In these stories Mary Hoffman tackles the difficult subject of the absent father and Ma’s new boyfriend with a great understanding of children’s emotional needs.